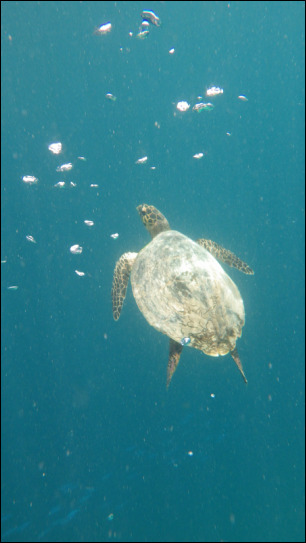 At our turtle conservation project you have the unique opportunity to get hands on experience with scientific research. Based in the sleepy village of Playa Blanca on the Osa Peninsula, Costa Rica, this project gives you the chance to not just help with our sea turtle studies but to immerse yourself in the true Costa Rican experience. The surroundings are of spectacular natural beauty. Named one of 25 biodiversity hotspots in the world, you will have the once in a life time opportunity to spot an incredible array of different plant and animal species. Surrounded by different kinds of beaches, mangroves & estuaries and with rainforest and coral reef habitats alongside each other, the area boasts more than 40 different fish species, dolphins and whales, migratory birds, scarlet macaws, four species of monkey, sloths and of course the majestic sea turtles. A truly lush nature that still needs to be explored and researched is awaiting volunteers, conservation volunteering here truly is a once in a life time experience.